Today I upgraded my production SCCM/ConfigMgr environment from 1806 to 1810, but before I did, I took care of some housekeeping that saved me a fair amount of work on the backend. If you’re like me, you try ensure that your collections aren’t being refreshed unnecessarily. For collections where I have direct or include/exclude rules, I always uncheck the incremental and scheduled refresh boxes when setting up the collection. However, there’s one extra step that I haven’t been doing that requires just a bit of consideration before upgrading to 1810. The picture below is the setting in question. 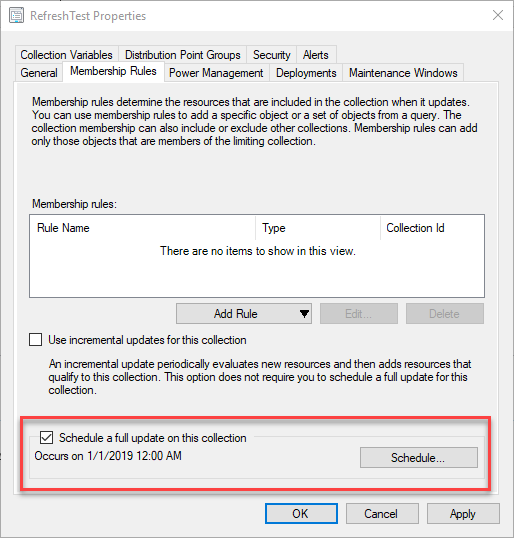 Previously, when you configured a schedule on a query-based collection, the site would continue to evaluate the query whether or not you enabled the collection setting to Schedule a full update on this collection. To fully disable the schedule, you had to change the schedule to None. Now the site clears the schedule when you disable this setting. To specify a schedule for collection evaluation, enable the option to Schedule a full update on this collection. If you’re like me, you likely have scheduled refreshes happening for collections that you thought you’d disabled it on. In my prod environment, I have 2200+ collections and 1750 collections were affected by this issue. If you have NOT already upgraded to ConfigMgr 1810, you can use the following PowerShell script to change disable the schedule to None for all of the collections where the checkbox has been unchecked. If you have already upgraded to 1810, this script won’t help since any collections in this state prior to the upgrade are were updated to Periodic (RefreshType 2). Eswar Koneti has a great post and script to help you further. 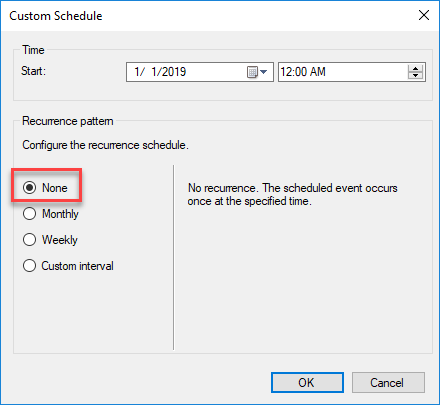 Collections with the Schedule checkbox unchecked but with an active schedule can be found using the ConfigMgr PowerShell cmdlets. If you run this query before upgrading to 1810, you should expect to find some collections. #Returns all Collections with a recurring collection and RefreshType of manual. #Returns all Collections with a recurring collection and RefreshType of Periodic. The script is commented and walks through what each step does. The script simply selects all collections where RefreshType is 1 and RefreshSchedule is not SMS_ST_NonRecurring then updates the RefreshSchedule with a non-recurring schedule. Find all collections with a RefreshType of 1 (Manual) that have a recurring schedule set and update the schedule to non-recurring (None). Write-Host "Total Collections Count is: $($AllCollections.Count)"
Write-Host "Total Collections with RefreshType of 1 is: $($ManualRefreshCollections.Count)"
#Get Collections with a RefreshSchedule that is recurring. Write-Host "Total Collections with RefreshType of 1 and RefreshSchedule of Recurring: $($RecurringCollections.Count)"
Write-Host "Processing Record $($Count) of $($RecurringCollections.Count): $($Collection.Name)"
You can download the latest copy of the script from the GitHub Repo. 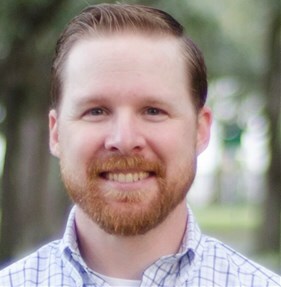 I’m a ConfigMgr consultant who specializes in Operating System Deployment and Power BI Reporting. I have been working in various areas of desktop client management since 1998. I have been a Desktop Architecture Analyst with my current company for the past 15 years. You can find more of my work on https://www.asquaredozen.com and on Twitter. Thanks again for the insight Adam. Wanted to reply to the previous thread but it would not let me. I have read both blog posts now and I think I have everything now, just want to make sure what I understood was correct. One other question. If you have a collection that is direct membership for an AD group and then you include another collection which is also a direct membership for other AD groups. For example we have a collection for software deployment to Software Center that would allow specific users access, but we also want to include our support teams but don’t want to have to define those AD groups for each collection. Would you need to set the schedule because the collection has an include? Great script, Adam. Thanks for sharing. I put together a GUI tool that helps to update collections. Thanks Rich! I’m going to have to take that for a test drive. Adam thanks for the script. Curious why you don’t have your query-based collections updating on a schedule. I understand Direct Rules but not understanding why you also exclude query-based collections. Which type of collections do you set collection updates on? Do you have a best practice? Sorry, I think I may have mistyped that first part. Roger Zander has a great post on collection best practices here: http://rzander.azurewebsites.net/collection-scenarios/. I uncheck both incremental and scheduled for Direct and Include/Exclude rules and I use Incremental OR Scheduled for query rules, with caution. I’ll update the post shortly to reflect this. Thanks for the clarification Adam much appreciated. I am going to assume that the reference collections that are used to populate other collection for Include/Exlude rules are set to incremental or scheduled. i.e. You have a collection, colB, that has and include rule from ColA. ColB has both incremental and scheduled unchecked and the schedule set to none, but colA is a query rule so it has a schedule associated with it. Correct. I tested that again today to verify. Include/exclude are automatic when the parent coll is refreshed. You can watch Ceviewer on the server and see what happens when you trigger a refresh on a top level collection. Thanks for the clarification and the verification. Guess I have a little bit of work to do, the last person that managed our environment created include/exclude collections with schedules. We do have some collections that have both a combination of queries and include/exclude so I could understand the need to have those scheduled. Is there a way to capture which collections have what? i.e. Direct Only, Direct + Include/Exclude, etc. I was reading through the link you provided and it mentioned that for user collections you can AD group direct membership for user based AD groups. Go you have to import these groups into SCCM or are they done automatically. Right or wrong we have 1000s of AD groups, some with computers others with users, don’t really want to import all those groups if I don’t have to. Right now we are just adding the groups we want into the Group Discovery. The old admin created a query rule for those groups, but if I am reading this correctly I can do a direct membership of the AD group and I don’t need a scheduled update. Thanks for the reply. First, for AD Groups in SCCM, you can configure AD Group discovery to import whichever groups you want to use for your user collections. No need to import them all. Then you can change your query rules to direct rules with the group as the only member. As for identifying which collections have which configuration, the script in the post provides a baseline for doing that, you can just change it to find the collections with the attributes you want. I have also recently revisited collections and made some new discoveries. Please read my post here https://www.asquaredozen.com/2019/02/21/sccm-collection-evaluation-troubleshooting-incremental-update-issues/. Also, this blog post talks about how to identify the different types of collections in PowerShell. Thanks Adam! I had this issue in our test environments. The cmupdate.log continued to fail on a Microsoft bug article. I eventually opened a case, and the Microsoft engineer provided a script to perform the steps you mention above. Also, everyone remember to update the SQL Native Client; otherwise, the pre-req will fail. It doesn’t fail, it’s just a warning.